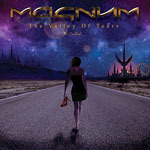 Share the post "Album review: MAGNUM – The Valley Of Tears – The Ballads"
On Christmas Day, Sunday 25 December 2016 at 22:00 GMT David Randall presented a two-hour special on Get Ready to ROCK! Radio, chatting to Bob Catley and with tracks from the new album. In 2011 Magnum released the album ‘Evolution’ which consisted of re-mixes and some original material. The cynical might have said: why go back and re-visit songs which sounded pretty good in the first place? The same might be said of this latest collection and, not least, how and where do you start cherry picking? This time the band focus on ballads after an idea from Tony Clarkin’s daughter. There’s no doubt over the years Magnum have tugged at the heart strings and it will always be a difficult choice as to what to leave in and out in any collection showing their softer side. There is also an argument that it allows the listener to hear certain songs with modern production values and therefore it may also pull in new converts as well as the faithful. This is a good enough argument and, healthily, Magnum are a band that seem to be able to pull in younger fans at their gigs – and mixed gender – which contrasts with a band like Marillion who on their latest outing appeared to attract an audience of predominately older males. And, of course, a compilation may encourage even die-hard fans to go back and revisit the original albums. The remastering and remixing no doubt lends the tunes a bit more gravitas and some songs have been completely re-recorded. Strangely, ‘Your Dreams Don’t Die’ off the latest album is included in remastered form – maybe for completism, taste and preference more than anything else. Surely the original track already espouses “modern production values”? Probably the main differential with a collection like ‘The Valley Of Tears’ is the timbre of Bob Catley’s voice. Understandably a little less silky these days but now with a vulnerability that suits the material rather well. Perhaps sensibly there is an emphasis on post-1990 work, although a live version of ‘When The World Comes Down’ and a new, acoustic, version of ‘Lonely Night’ creep in to the mix. The inclusion of a track each from ‘Sleepwalking’ and ‘Rock Art’, two criminally neglected albums, is also very welcome and both have been re-recorded. It is a shame though that ‘Goodnight LA’ isn’t touched, although it contains some cracking ballads. No doubt some Magnum fans will soon be mentally compiling their own alternative and loading up their iPod or Spotify playlists. Perhaps we’ll get a Volume 2 in due course? This entry was posted in ALBUM REVIEWS, ALBUM REVIEWS (Mobile), All Posts and tagged Al Barrow, album, Bob Catley, Harry James, Magnum, Mark Stanway, review, rock, The Ballads, The Valley Of Tears, Tony Clarkin. Bookmark the permalink.